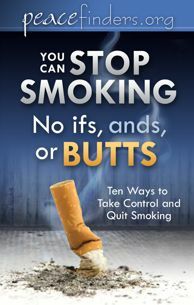 Dr. Corrine Husten, MD, MPH states, "Not smoking, or quitting if you smoke cigarettes now, is the number one thing you can do for your health." * Smoking is the greatest source of preventable death in our society. * Smoking accounts for 1 out of every 6 or 7 deaths each year in the USA. * 87% of all lung cancer cases are caused by smoking. * Smokers die on average six to eight years younger than non-smokers.